The beginning of MA 203 from what used to be US 1 (and still looks like it in far too many places). Pointing the way along the MDC-maintained Gallivan Blvd. 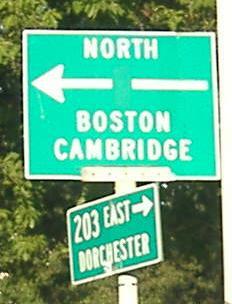 Advance signage for the end of MA 203 at MA 3A and Morrissey Blvd. 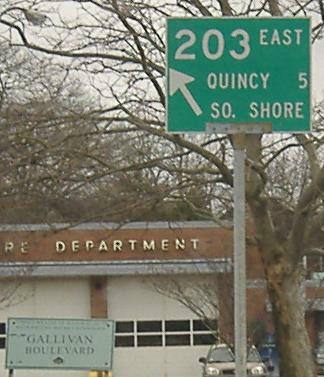 MA 3 used to follow MA 3A into MA 203, hence the numbers of both roads, and either 3 or 3A may at one point have followed Morrissey Blvd. as well. 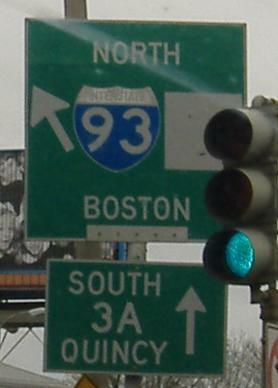 Note the rotten and/or old conditions of the signs, including the old wooden MDC sign, and the need to put US 1 on the I-93 signage (but the signs predate the routing of 1 along the freeway).